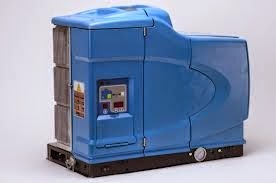 Has your Nordson ProBlue Melter stopped heating properly? With the ProBlue units, you must replace the heater manifold. You cannot replace just the cartridge heaters because they are cast into the manifold. The KNS0045 is $110 and will bolt directly to the Nordson ProBlue tank. We have the 240V in stock. We will have the 480V coming soon.